This email is for those interested in using the transceiver for CW. Being mainly a CW operator, I was concerned about the V3 board uBitx transmit CW wave shape being very hard with an almost square waveshape and as expected, key clicks could be heard on either side of the signal. A look at the circuit diagram and a little tinkering today vastly improved the situation. 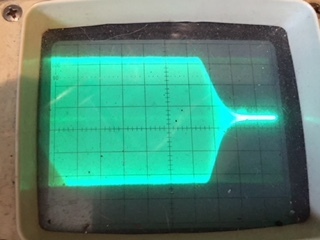 All that was required was to increase the value of C1 from 0.1uf to 1uf. 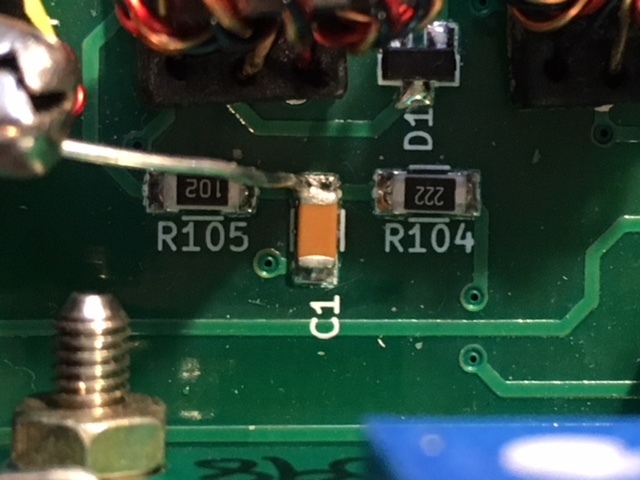 Attached are some CRO photos of the end result showing the leading edge and trailing edge of the transmitter output with a 1uf connected across C1. The other photo shows where a short wire was soldered to the hot side of C1 for the tests. In reality the wave shape is now a little soft on the trailing edge, so 0.047 or 0.68uf may be sufficient for some people. More work could possibly be done with the CW keying RC network to the 1st balanced mixer, however this one component simple fix will suit my needs. The tests were contucted using the internal keyer set to 25wpm. 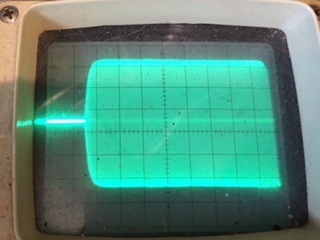 The CRO connection point was at the antenna BNC connector with a 50ohm dummy load. How did you measure the bandwidth? have a bandwidth increase over just the carrier itself. > occurred at a periodic rate if I held the dot or dash lever. > watts out, but same results on 20, 8 watts out all into a dummy. > Any clues to why this happens and what can be done?